Awww the beautiful French Macaron (not to be confused with a macaroon).Two perfect little puffs with delicious cream sandwiched in between. Could anything be more heavenly (aside from a nice piece of chocolate cake warm from the oven) or more beautiful! 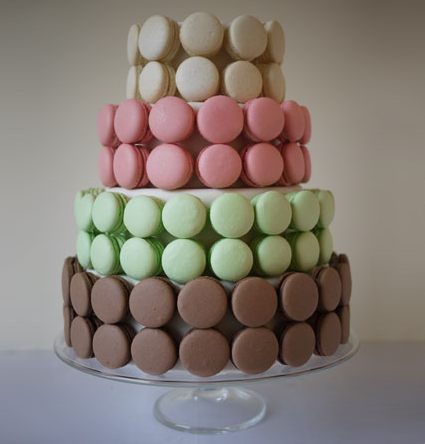 I love the French macarons! 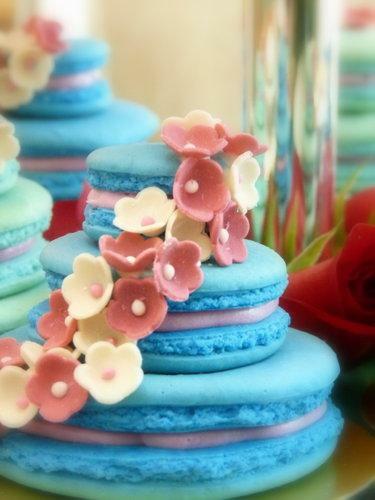 So much prettiness packed into a tiny little sweet! I am not surprised in the least that they have become superstars amongst the pastry world and are popping up in the most unexpected places! 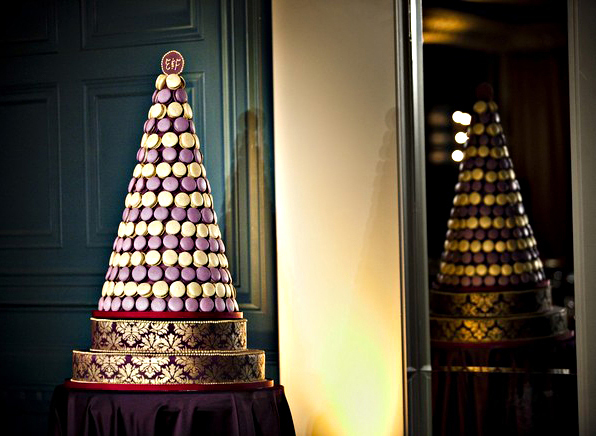 What is a Deconstructed Wedding Cake? Our deconstructed wedding cake is a simple, yet beautiful way to add color and personality to your dessert table. 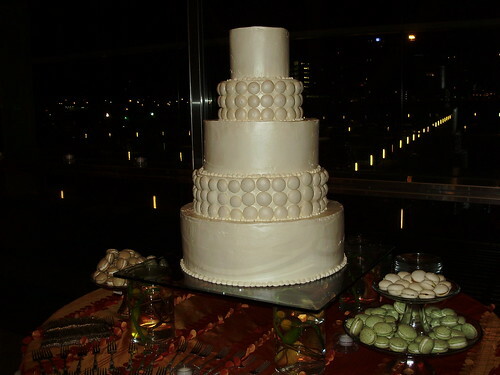 It’s a contemporary twist on the traditionally tiered wedding cake. 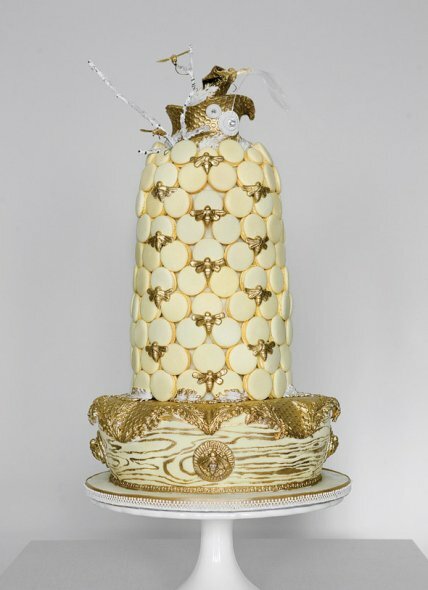 You to select a variety of cakes and icing to be displayed across a beautifully decorated table. 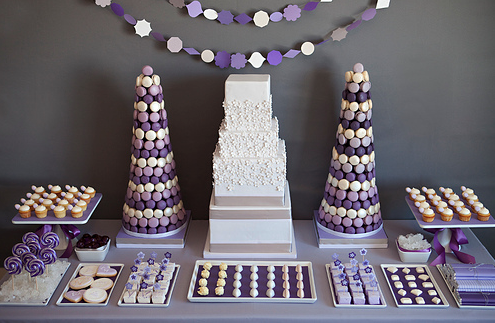 Laid out together, the tiers are transformed into a table of delectable desserts. For each display, couples can choose from a variety of flavors and colors, as well as layout, to match personal tastes. 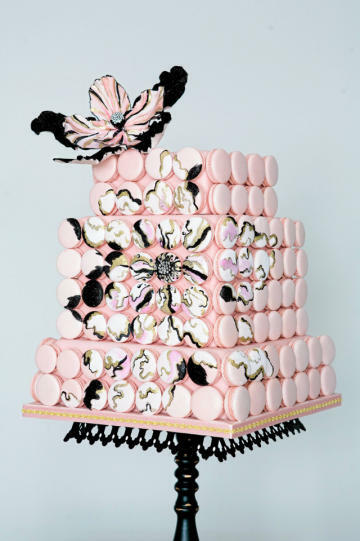 Today, more and more couples are foregoing the traditional wedding cake and choosing something with a little more personality. Some options have been cupcakes or cake pops, but cutting out the tiered cake doesn’t have to mean eliminating cake altogether. With a deconstructed cake, you can work in more flavors and place small signs near each cake to let your guests know what’s inside.You can follow a theme for a total look without sticking to one design.